^ "Supreme Court". Courts.state.ar.us. Archived from the original on 2008-12-21. Retrieved 2008-12-17. ^ "Court of Appeals". Courts.state.ar.us. Archived from the original on 2008-12-16. Retrieved 2008-12-17. ^ "Circuit Court". Courts.state.ar.us. Archived from the original on August 4, 2011. Retrieved 2008-12-17. ^ "District Court". Courts.state.ar.us. Archived from the original on 2008-12-23. Retrieved 2008-12-17. ^ "City Courts". Courts.state.ar.us. Archived from the original on 2008-12-16. Retrieved 2008-12-17. ^ "United States District Court Arkansas Eastern District". Are.uscourts.gov. Retrieved 2008-12-17. ^ "United States District Court – Western District of Arkansas". Arwd.uscourts.gov. Retrieved 2008-12-17. 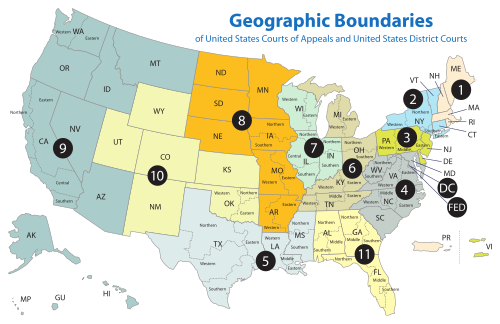 National Center for State Courts – directory of state court websites.